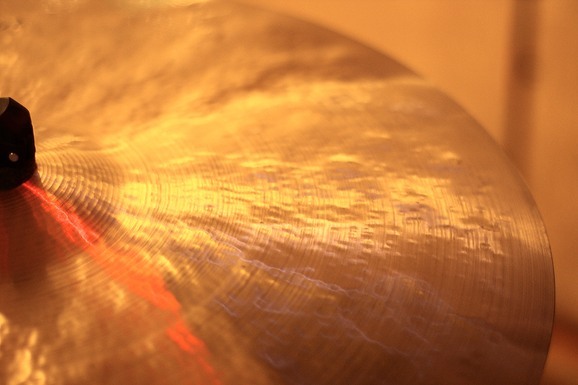 22-inch ride cymbal, with a damped smoky sound character, naturally panned to the left side a bit. 4 instrument zones sampled: Tip (usual ride cymbal hit), Bell, Bell Tip, Edge (similar to crash cymbal edge hit). Fully acoustical samples, no dynamics processing nor reverb applied, relative loudness preserved. Performed by Max Sivkov, recorded at Voxengo studio. Samples and instrument files of this library are compatible with Native Instruments Kontakt 3.5/4 (Kontakt Player is supported in demo mode only - it times out) and Cakewalk Session Drummer 2 and 3. NKI and SFZ instrument files of this library can be additionally loaded in various compatible samplers. Individual WAV files can be loaded in most samplers.